Mobile devices are being used at an astronomical pace to surf the web. Unfortunately there is so much of the web that is not optimised for mobile devices. The main constraint of mobiles is the display size and such require a different approach to how content is laid out on screen. Mobile responsive websites will remove this constraint. There are many different screen sizes across mobile devices, “phablets”, tablets, desktops, game consoles, TVs, even wearables. Screen sizes will always be changing, so it’s important that your site can adapt to any screen size, today or in the future. 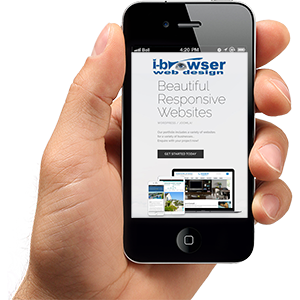 Mobile Responsive Web Design which was originally defined by Ethan Marcotte in A List Apart responds to the needs of the users and the devices they are using to view and browse the internet. The layout of the website changes based on the size and capabilities of the device it is being viewed with. For example, on a mobile phone, users would see content shown in a single column view whereas on a tablet it might show the same content in two columns.